Last edited by Ultimo on Wed Jun 07, 2017 6:14 pm, edited 1 time in total. 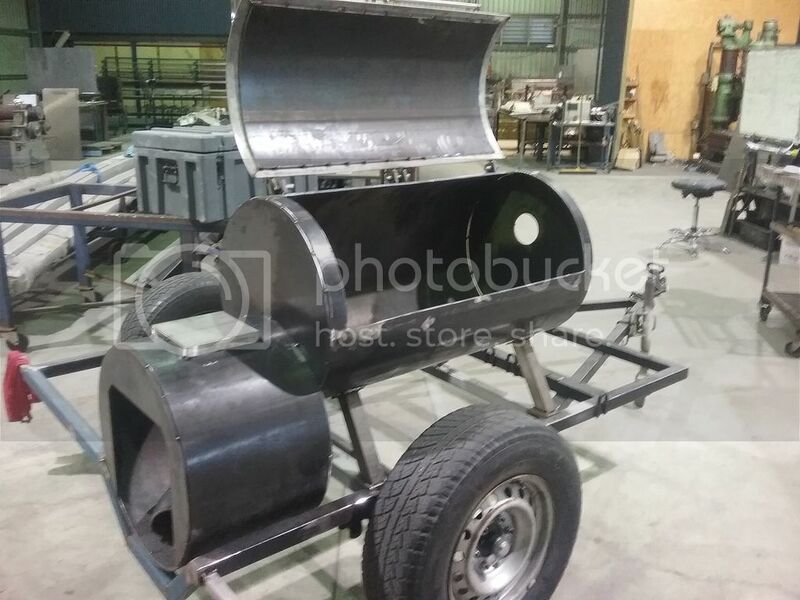 Ok, we changed our minds and are making a trailer smoker first for our brand new teams first comp in early August. As you can see we are well underway. The offset has been finished since these pics (only chimney to be finished there). 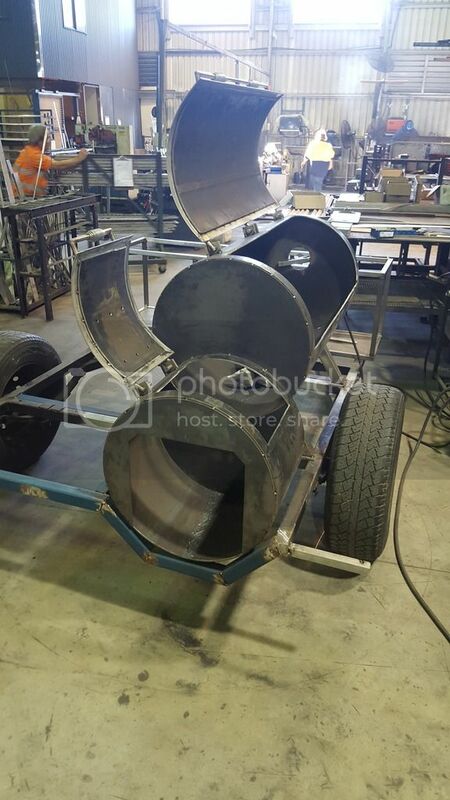 There will also be a wood basket with a stainless work/prep bench as a lid on the other side. A sink with a 12v pump and a stainless water tank on the end of the wood basket as well. And that is pretty much everything. We have painted the firebox and cooking chamber, then we had our first fire in her to cure the paint and the oil we rubbed everywhere on the inside. She stayed steady at about 200F for about 3 hours then we cranked her up to about 300F for another hour or so. We used much less wood than I thought we would for such a big unit. Next time I want to make a bigger fire and see what she can go to. No pictures this time as its just the bare trailer and pit. Once all the other goodies are mounted I will post some done pictures.